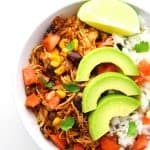 These Slow Cooker Chicken Burrito Bowls are easy peasy to make. Just add everything to a Slow Cooker, and in a few hours dinner is done! I’ve been looking for ways to jazz up my Taco Tuesday Night. and my homemade Taco Seasoning to a Slow Cooker. Check out the 60 second video below! I did this a few times, testing it once on high for 4 hours and once on low for 8 hours (both worked perfectly). At the very end just shred up the Chicken with a fork and mix everything together with a large spoon. 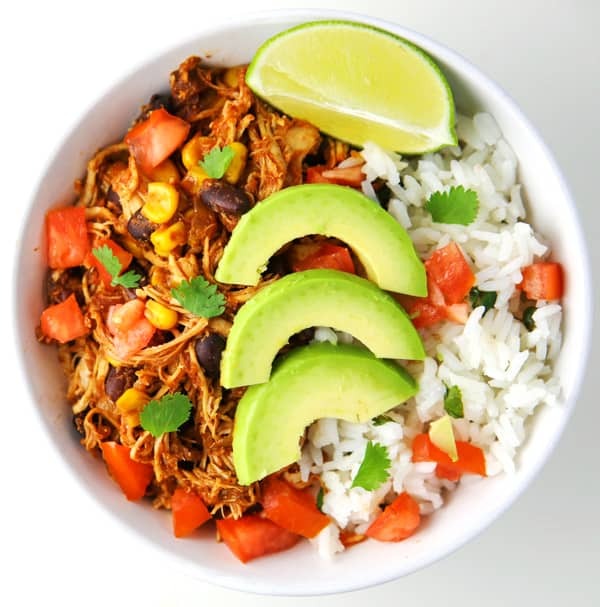 But really you could add any of your favorite Taco toppings to this. You don’t even have to put it in a bowl. You could wrap this yummy goodness up in a burrito if you wanted. 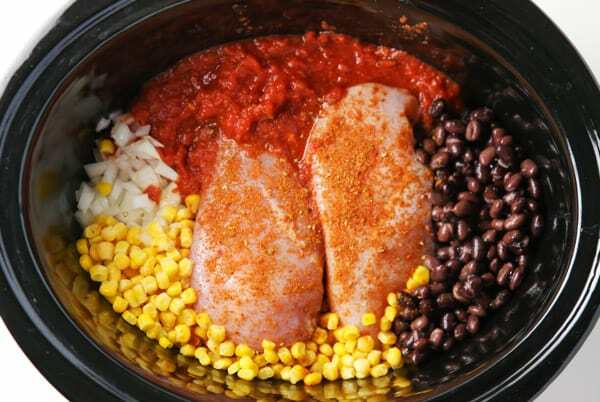 Add Chicken, Salsa, Corn, Beans, and Onion to Slow Cooker. Combine Chili Powder, Garlic Powder, Onion Powder, Oregano, Cumin, Salt, and Pepper to a small bowl and mix well. 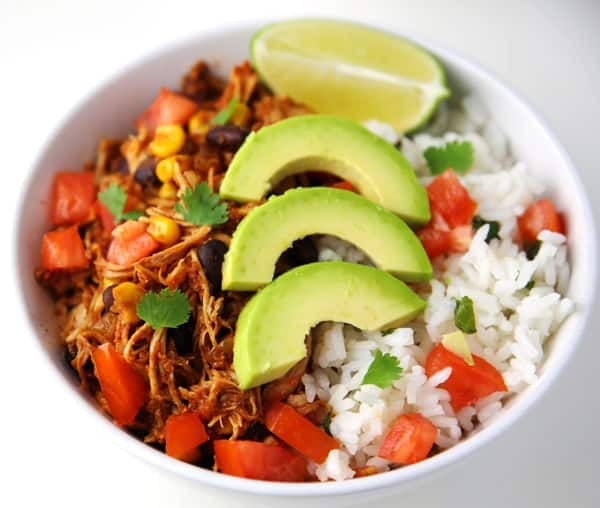 Sprinkle seasoning over the ingredients in the Slow Cooker. Shred cooked Chicken and mix well. 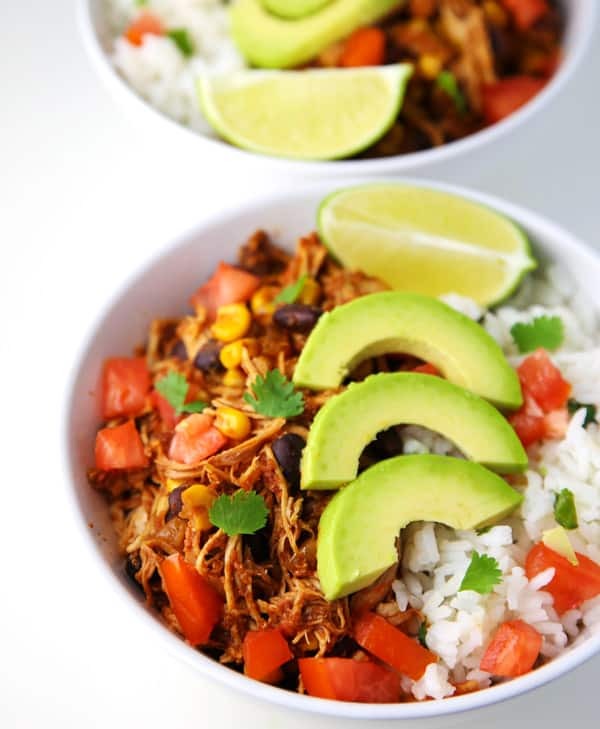 Add to bowls of Rice and top with your favorite toppings. Yeah, these are perfection. 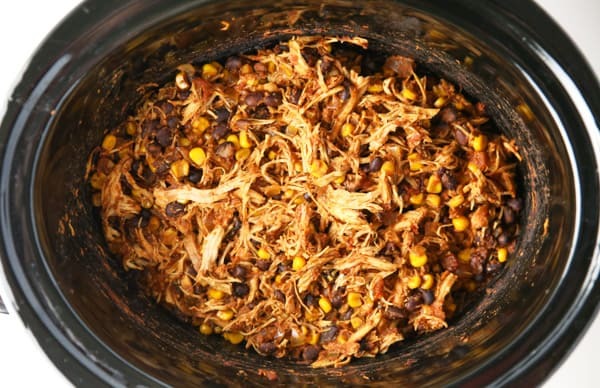 There’s nothing I love more than a delicious crockpot meal! Cannot wait to try this recipe!